This is an expansion. 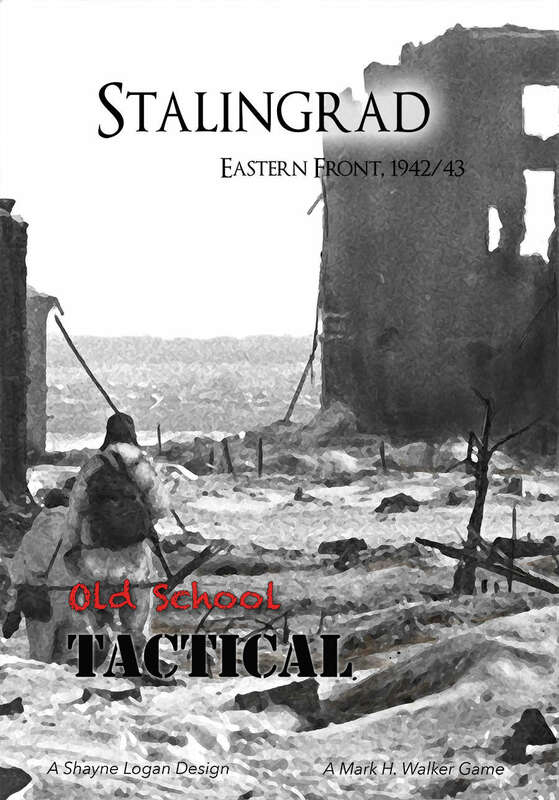 You must own Old School Tactical Vol I to play Stalingrad. Set in one of the most famous battles on the eastern front during World War II, a five month battle that was one of the largest and bloodiest engagments in military history. A battle of attrition between the Wehrmacht and the Red Army in brutal, house-to-house, close quarter combat within the city of Stalingrad. 1 x sheet of OST counters. The below is a video unboxing of the original print version. We are so sorry, Viacheslav Z. Thanks for pointing this out. We have switched counters back to the 300 DPI file. I hope you enjoy the game. Let me know if there is anything else that I can do to help. Mark, thank you very much! Counters are good now. The full map is OK - 300dpi. terrible quality of the counters. Counter images inside pdf are 150dpi. Completely useless for PnP. Essentially, money spent on the low-res preview. are you going to change it for proper 300dpi?